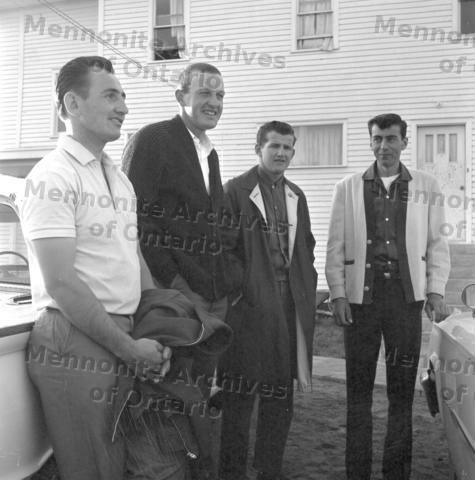 Four young men informally dressed. Possibly had attended one of the CMC youth meetings at the annual conf. See ref. in CM 12-29-7 to these meetings.